Jonathan Ames created several TV shows, including Bored to Death and Blunt Talk. He’s also the author of many books, including You Were Never Really Here, which was recently adapted into a movie. Janet Varney stars in the TV show Stan Against Evil and hosts of the podcast The JV Corner. In this episode, we’ll learn about Jonathan’s experience with having his book transformed into a movie and why, for all his literary expertise, he still has trouble pronouncing certain words. We’ll also hear more about Janet’s involvement at the annual Sketchfest and why she enjoys talking to women about their awkward teen years. And both Janet and Jonathan wonder what Jodie Foster is up to while they are on stage. Is she watching TV with someone while getting a nice neck massage? We may never learn the answer to that question. But GFY listeners will learn other things by listening to this episode. What’s the difference between a “Presidential Pardon” and “Presidential Commutation”? What’s the difference between “Avenge” and “Revenge”? Jonathan Ames: 1990’s New Knicks, Detective Novels/Noir Literature and the works of Pema Chodron. Tom Nolan, crime novel reviewer for the Wall Street Journal and author of several books. Go Fact Yourself is coming to New York for two live tapings on July 21st and 22nd at Caveat NYC! For information on guests and to buy tickets go to gofactyourpod.com. This week we have on the phenomenal writer of this year's The Post, Liz Hannah, to talk about Jonathan Demme's classic The Silence of the Lambs. Liz delves into her process and how she became a first time screenwriter with her script for The Post. She discusses the amazing talent of Meryl Streep, the story of Washington Post owner Kay Graham, and what it was like collaborating with Steven Spielberg. Plus, April and her dissect everything that makes The Silence of the Lambs a masterpiece. They discuss Anthony Hopkins performance (he only blinks once in the movie), the amazing craftsmanship of director Jonathan Demme, and the groundbreaking character of Clarice Starling played by Jodie Foster. 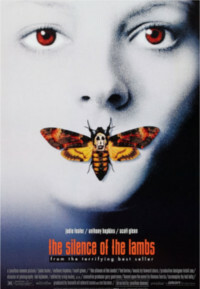 If you haven't seen it yet, go watch The Silence of the Lambs on HBO Go. Also, you can still see The Post in theaters. This week on Who Shot Ya?, Ira Madison III joins us in studio and shares his thoughts on where Proud Mary went wrong. Plus, the panel looks at some of their favorite female assassins, and they also create the definitive “12 Under 12” list, of the best actors who had yet to reach puberty when they delivered an outstanding performance. Check out our Spotify playlists. One is for Movie Soundtracks and the other is for Movie Scores. Check 'em out!